October 2016 - my name is Food. 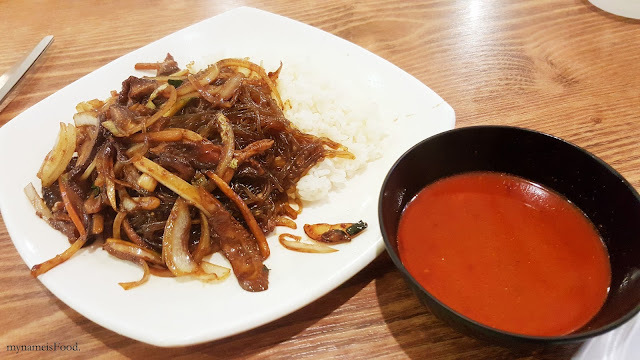 Having eaten at various Korean restaurant in different cities, sometimes it makes me wonder why there isn't one dedicating to its rice or noodle dishes. Of course, there has always been Korean BBQ and one that is a mixture of everything in between and even more such as the KFC aka. Korean Fried Chicken is getting the hype and many more are opening lately. 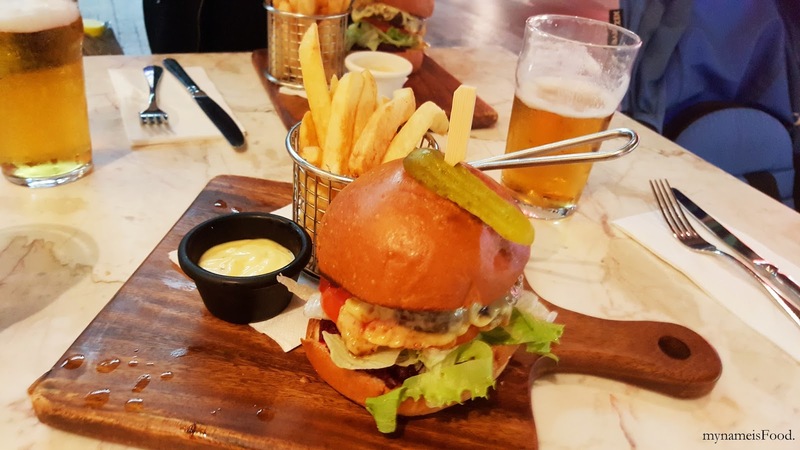 When we stopped by Runcorn Plaza, opposite of Warrigal Square, we spotted a humble restaurant right at the corner, the closest restaurant to the newly refurbished IGA. What a suprise when most of their menu contained various stir fried dishes as well as rice/noodles bowls. 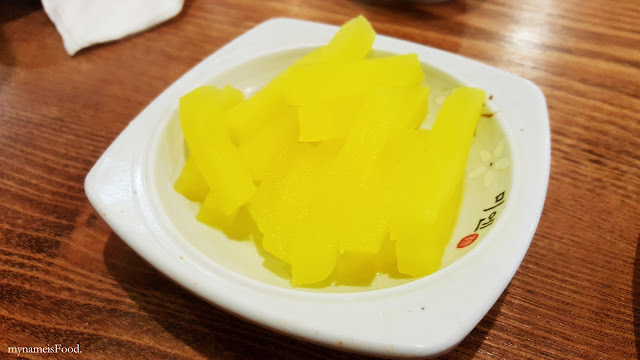 As usual, side dishes are brought out to your table before every meal and although you may have expected at least two or three different types of side dishes, here they only have one, which is the yellow radish. A refreshing side dish to balance and tone down your buds after every spoonful. 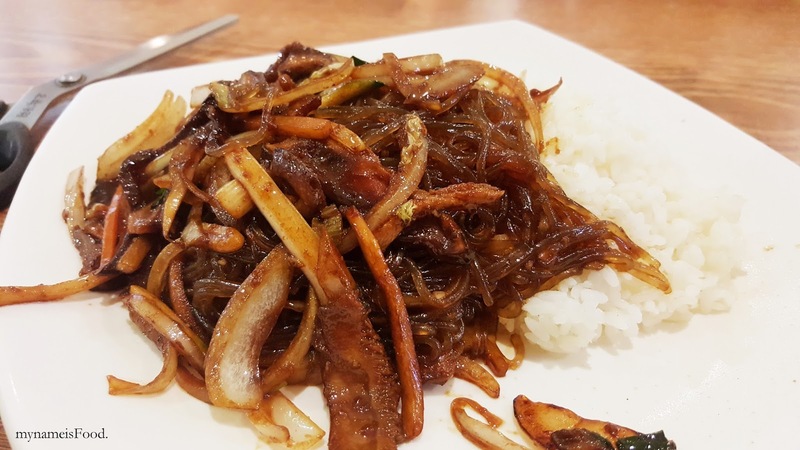 'Japchae-bap' was a combination of stir fried glass noodle with rice. Having always liked Japchae by itself either as an entree or as a main, I tend to usually have it as a main as I do feel that eating on its own can fill you up quite easily having sweet potato noodles as the base with various vegetables such as carrots, onion, spinach and mushrooms served with beef or pork, all combined and having a soy sauce and sesame oil based. 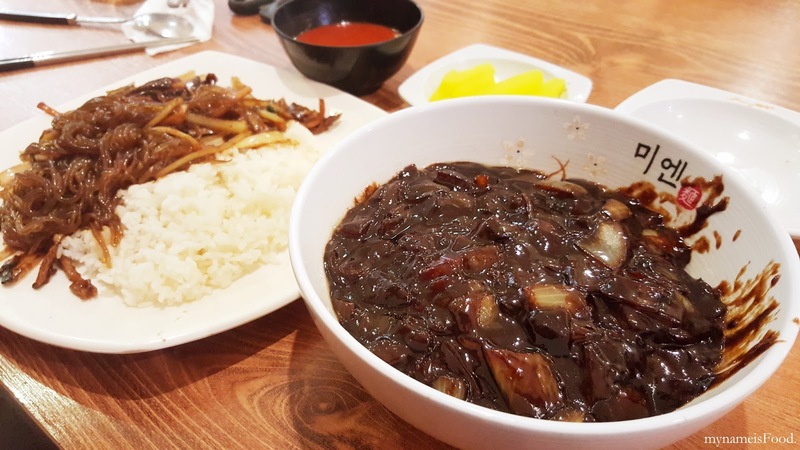 A simple but delicious dish to have and when mixed with rice, it becomes a whole new dish, typically saying that it is served with a bed of rice when being served as a main dish. I did feel that it was too oily in terms of the Japchae itself but the amount of vegetables were much more generous than the beef itself as there were only a few which was disappointing. Served with a bowl of Jjampong soup which is literally a spicy seafood noodle soup, one of the more famous Chinese-Korean dishes that is enjoyed all over Korea. Having some bits of seafood in the soup was a delight but there seems to be a bit too much chilli powder and powdery base at the bottom of the soup. 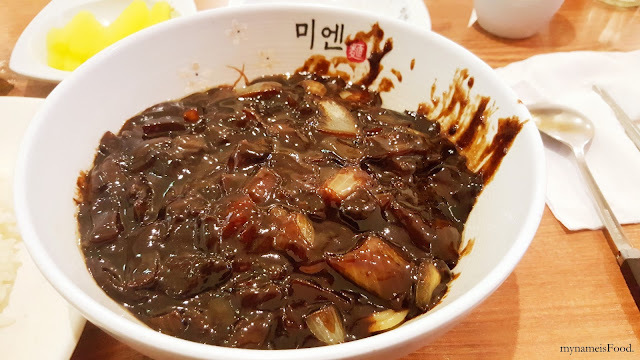 'Jajjang-myeon' literally means Black Bean sauce noodles, a noodle dish topped with a thick black sauce made out of a salty black bean paste with pork and vegetables. I have tried the other versions such as Taiwanese, Chinese, Hong Kong etc and some have been tasty while some may be abit too salty or bland. It is quite a simple dish to create at home but somehow I feel that when eating it at home and at a Korean restaurant, the feeling is just different. The meat used is usually pork but sometimes some may be just vegetables or other type of meat. Some people may say that mixing all your food until it becomes a tad ugly may just ruin it for some visually. But those of you who knows that sometimes the yummiest food is always messy to eat while sometimes there will be those food that are just simply too pretty to even look at, more to eat. 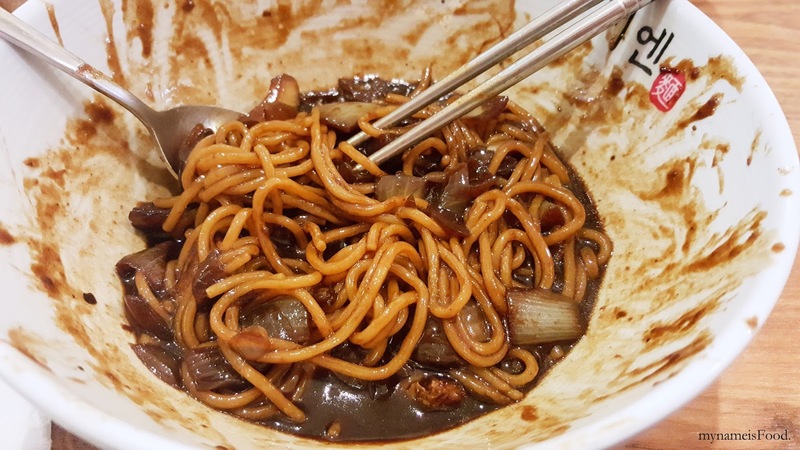 With this, the goal is to mix it altogether until the noodles has absorbed the black bean sauce and everything is covered. 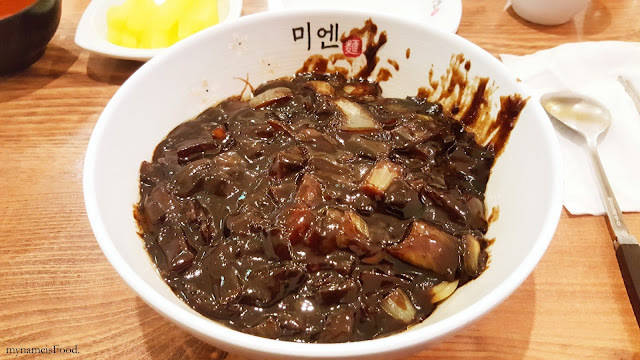 Although the black bean sauce was on point, not too salty but was actually quite good and having the chunks of onions and other vegetables made it have that combination of texture of crunchiness and smoothness. 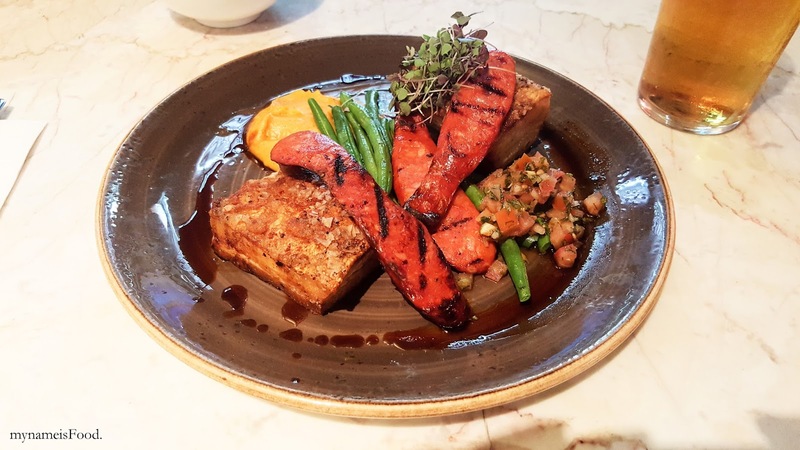 One downturn would be the lack of pork belly. Continuing its success from the CBD branch since 1979 having the Cathedral as a home has made it to be one of Brisbane's Icon. What has always been great was that they would be open 24 hours allowing everyone to be able to have food from day to night and don't have to worry about the closing hours when those tummy of ours grumbles at 1am in the morning.. since we know that they will be open. For the Garden City brand unfortunately, they did try to create that old world charm however having a contemporary feel and another bad thing was that they aren't open for 24 hours. So for those of you who want pancakes or burgers, or a milkshake in the middle of the night, then you would just need to drive over to the city for them. 'Hot 'n Troppo' (AUD$12.95) was two buttermilk pancakes served with roasted walnuts, grilled banana, cream, chocolate ice cream and chocolate sauce. If you'd prefer Vanilla ice cream compared to Chocolate, then the waiter would simply just change it for you no hassle. 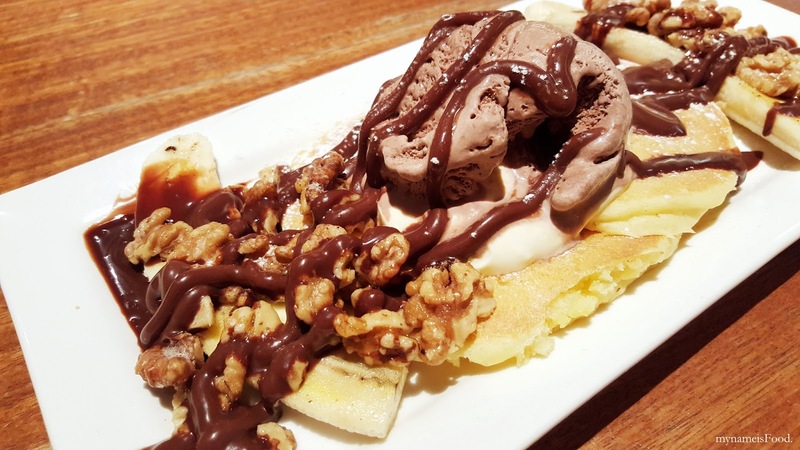 The buttermilk pancakes were warm, causing the chocolate ice cream to melt quicker than we would have liked. The amount of roasted walnuts was very generous accompanied with one grilled banana sliced in half, placed on either side of the pancakes. The grilled bananas however were not that great as it tasted as it was just a normal banana without being grilled. It would have been nice if it was grilled maybe a tad longer showing off their grilling marks and having that smoky flavour to it. 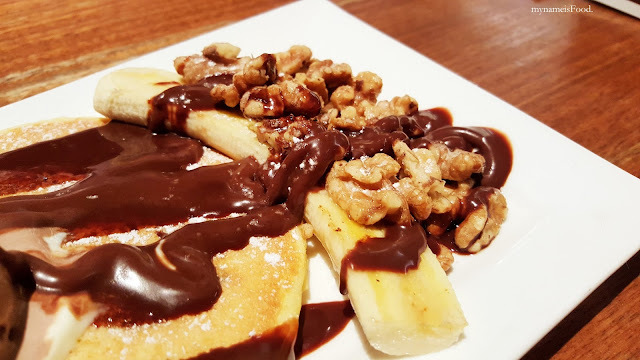 The chocolate sauce was drizzled all over and around the pancakes and the roasted walnuts giving it a balanced and a way for you not to have to wonder why there isn't much sauce. 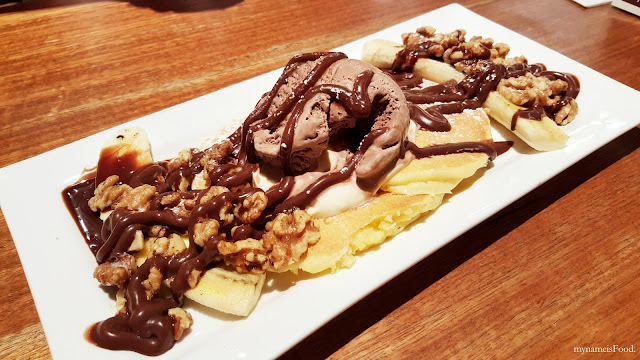 The chocolate sauce was subtle and not too strong and blending in with the chocolate ice cream, you start to think of your Sunday breakfast in a way. Waking up to those not so perfect round pancakes and having a dollop of jam or cream, even just with butter on top would just do the trick. 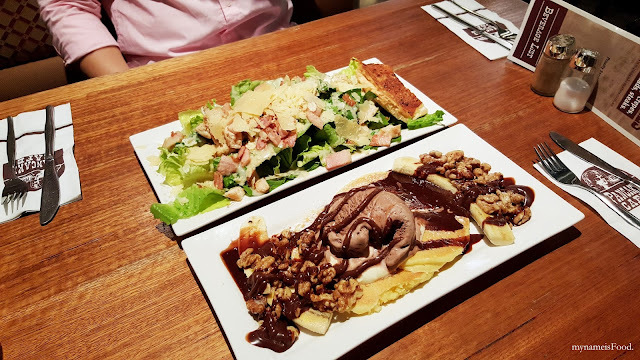 The roasted walnuts were a perfect combination for the grilled bananas however same goes with the bananas not being grilled enough, the walnuts seemed to be better having that roasted smoky flavour. 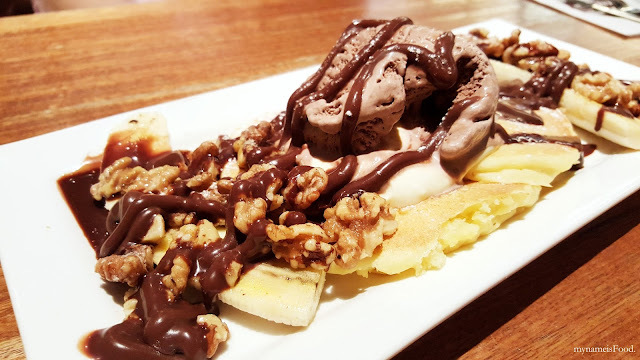 Somehow, having chocolate and nuts as well as bananas always goes together nicely either for a snack or a dessert. 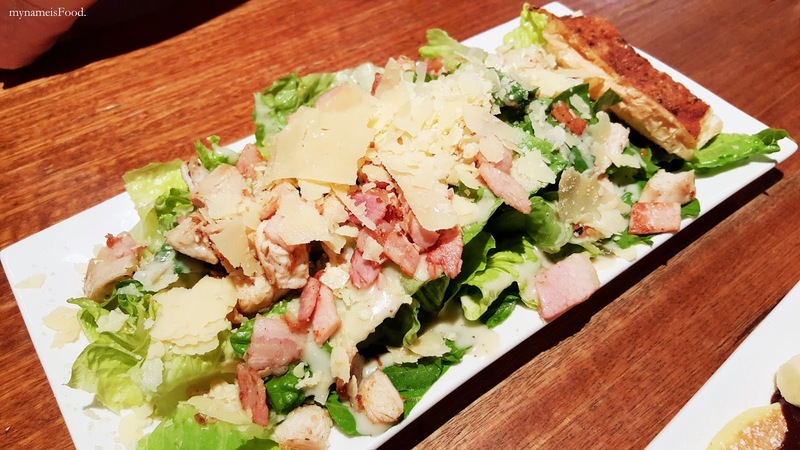 'Caesar Salad' (AUD$14.50) is always great to order when wanting some healthy option. 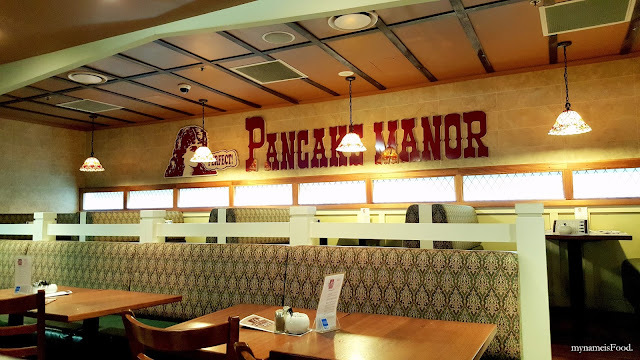 Although being a pancake restaurant, sometimes you just don't feel like having too much pancakes even if it would be great. 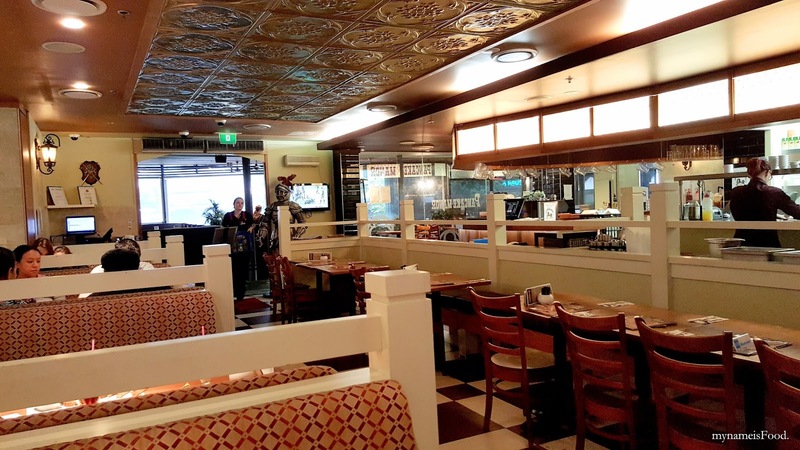 Having various dishes other than pancakes such as savoury crepes, salads or burgers and so on, everyone can dine here any time of any day without having to worry. 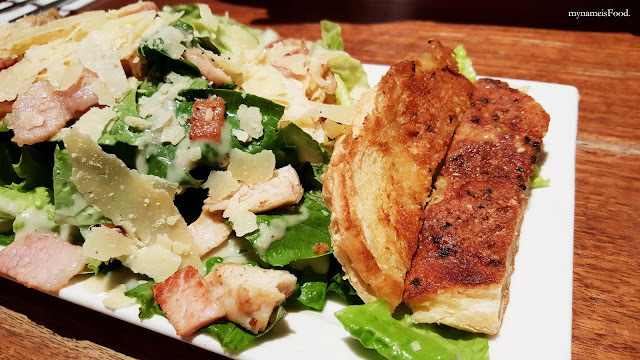 The usual elements of Caesar salad applies, lettuce, bacon, parmesan cheese and their own special Caesar dressing with their big house-made cheesy croutons. A salad this big is always great to order especially when you're here with a group of people allowing the salad to be easily shared around. 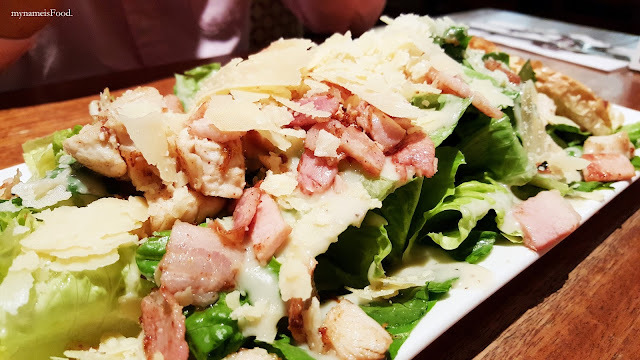 The salad was filled with slightly charred bacon and big thin slices of parmesan cheese which seems very generous. The caesar dressing was not very acidic which I quite enjoyed and mixing it all together may be a challenge for some without having to spill some of the salad out of the plate. 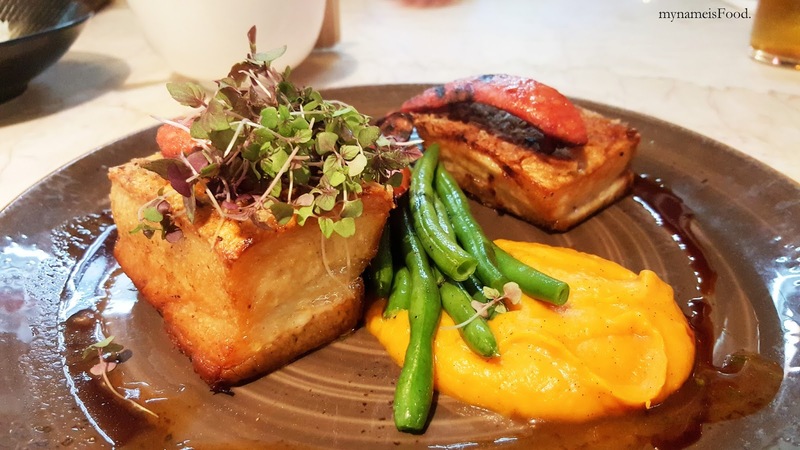 The house-made cheesy croutons was just alright but it would have been great if there were a bit more rather than just of what seemed to be a half sliced. It was also a bit soggy on the crust and outer parts of the bread however, you could taste a tad of cheese around the middle. The terms 'big' that they used maybe meant literally not being in small cube slices but instead just a knife through the middle. This Chinese restaurant has been open since as long as I can remember and with a variety of dishes from A La Carte to Yum Cha, everyone is sure to enjoy. Coming here on a Sunday lunch is always the best time but yet the most crowded time to have Yum Cha. 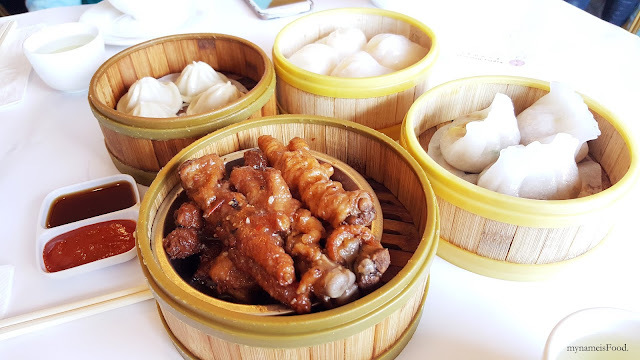 I do feel that this may be one of the best Yum Cha to have in Northside as there isn't that much options for chinese restaurants. 'Chicken Feet' is a staple dish to order during Yum Cha. 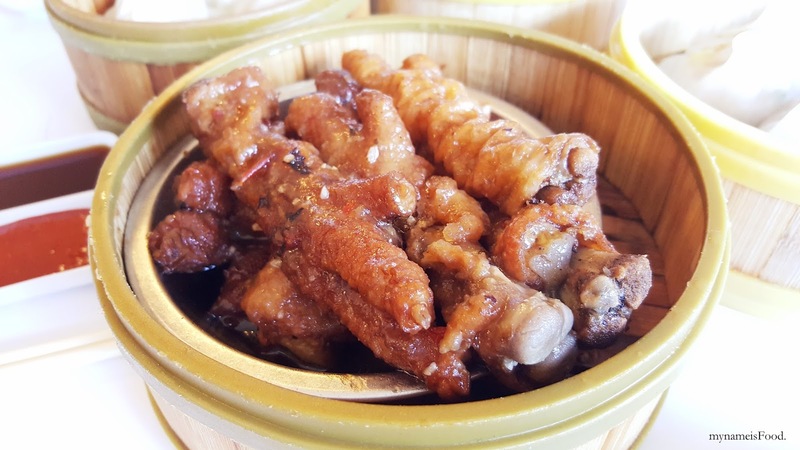 Some may be frightened of the fact that it is Chicken's feet while some just can't look at it. The aroma that these feet has been marinated in is definitely giving you that delicious smell and feeling. It does get quite tricky in trying to eat the meat off it as you do have to take your time and is usually best to be eaten by hand. 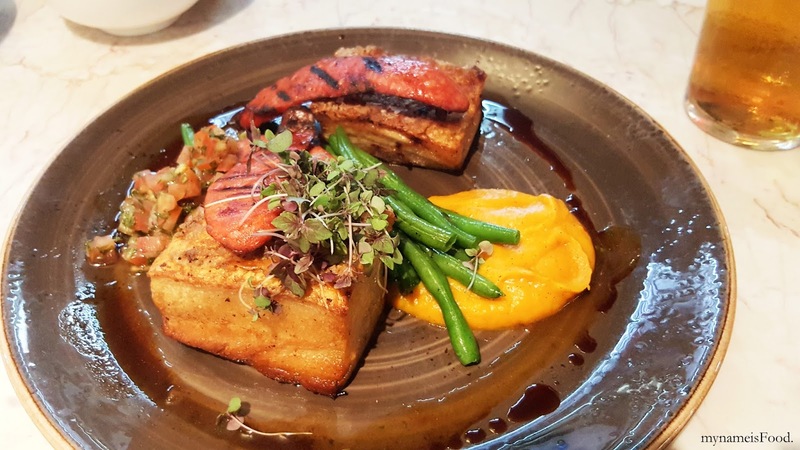 However, if you are wanting to know the taste, it simply just tastes like chicken to be honest just very less meat and much softer than your usual chicken breast texture. 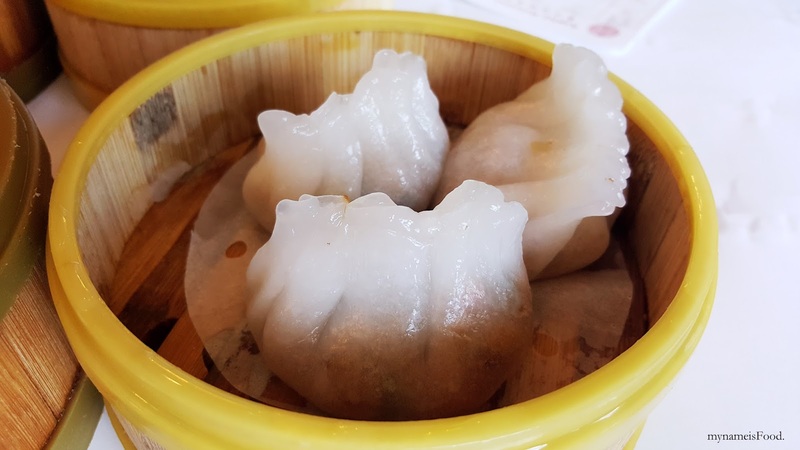 'Minced Pork w Coriander and Peanuts Dumpling' is a dumpling that packs many different flavours in one all based on the minced pork with the hint of coriander and peanuts for extra crunchiness allows this dumpling to be delicious. 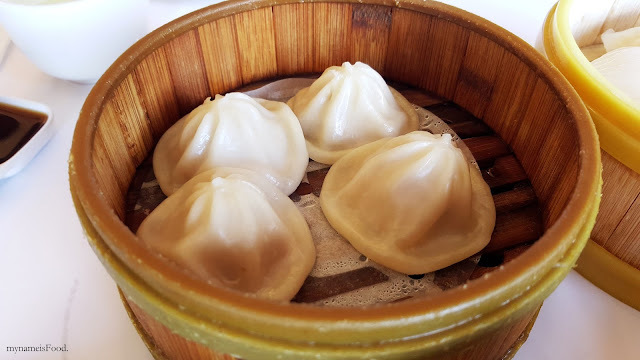 'Xiao Long Bao', also know as Shanghai Dumplings which is famous for their soup inside the dumpling which is the main highlight. The flavoursome and hot steaming soup will come out everytime you try and pop this into your mouth. An advice would be to not bite half way and instead try to put it into your mouth as a whole. By biting halfway, you will be sacrificing the soup pouring out and not being able to taste it. Eat it as is or dip a part of it into the soy sauce before eating it. 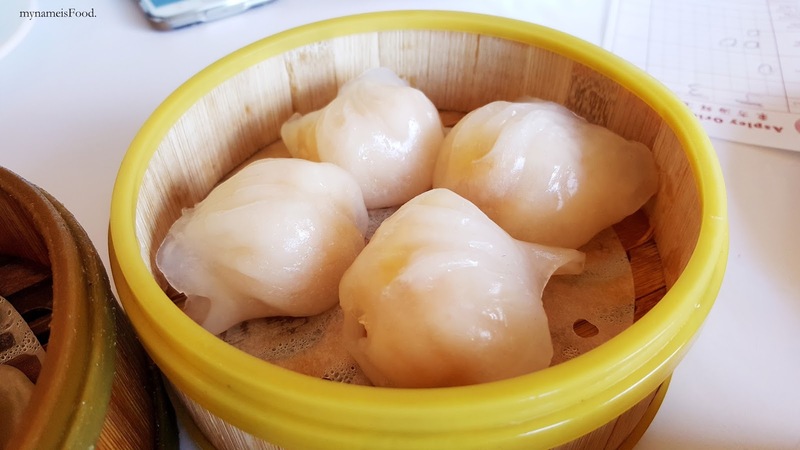 'Steamed Prawn Dumplings' isn't something I would choose to be my favourite but is always chosen everytime we go out for Yum Cha. 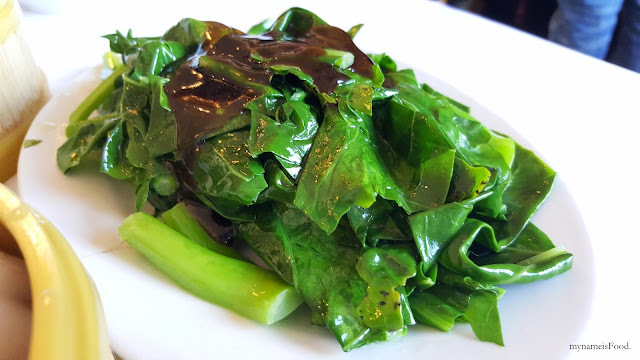 Not sure if it's just because it is filled with prawns inside covered in a thin dumpling skin steamed to hotness or what..
'Bok Choy in Oyster Sauce' was just like what it is called, asian greens slightly cooked and served with oyster sauce. One thing I have to point out was that they should really cut it more proportionally as some stalks were way too big and you definitely won't be able to chew nor bite it in any way. 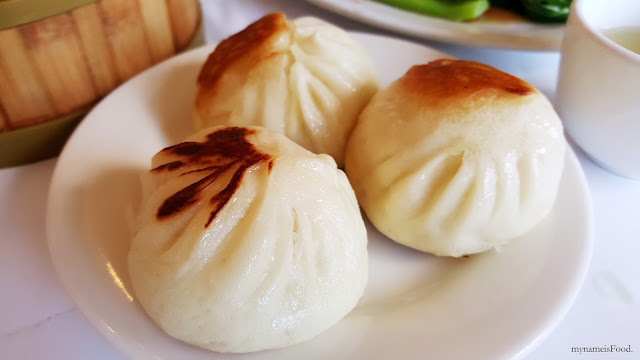 'Steamed and Pan Fried Pork Buns' was your typical pork bun with the mouth watering sweet Pork Char Siu filling however as you can see, the main part of the bun has been steamed with the top being slightly pan fried which allows you to enjoy the bun with the tad smokiness. 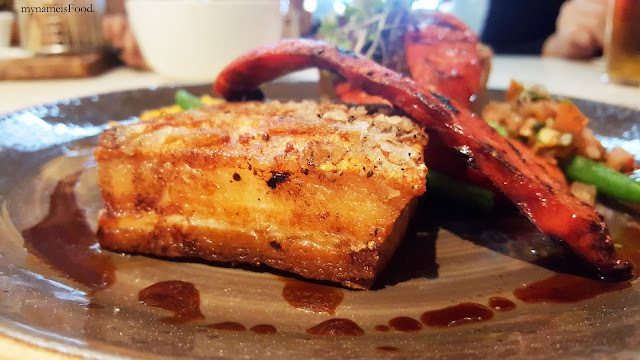 'Tripe' isn't something everyone will love because of its texture however its flavour is something you will love if you like your simple seafood being cooked and steamed in chilli and ginger as well as garlic topped with spring onions. 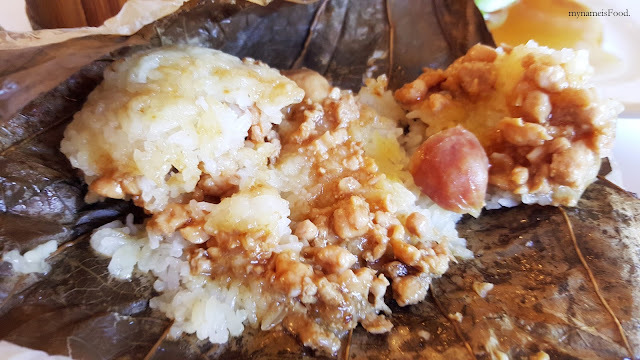 'Lo Mai Gai' which literally means Chinese sticky rice wrapped in lotus leaf filled with Chicken, mushrooms, Chinese Sausage and scallions while some places also have them with all that plus salted egg and/or shrimp. 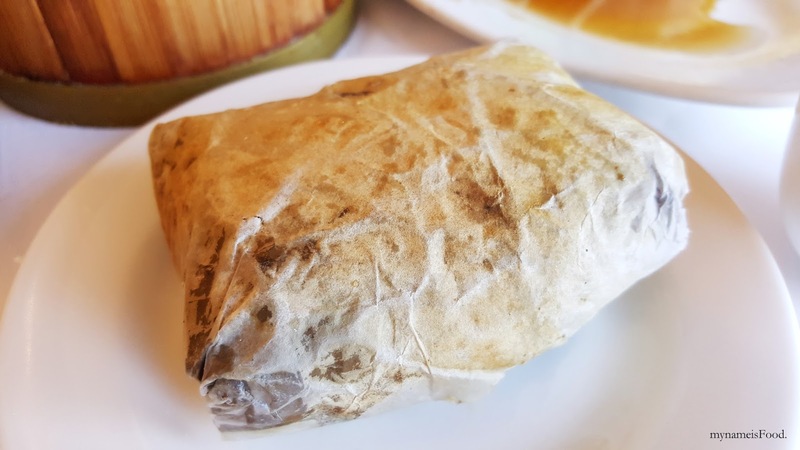 A staple Yum Cha dish to order yet again, gives you a delicious goodness all wrapped in a lotus leaf all steamed up. When it arrive on your table, you are able to smell and have the aroma coming out as well as all the steam. When you slowly open the lotus leaf up, be careful as it may be very hot and the steam may just heat it so ever more. 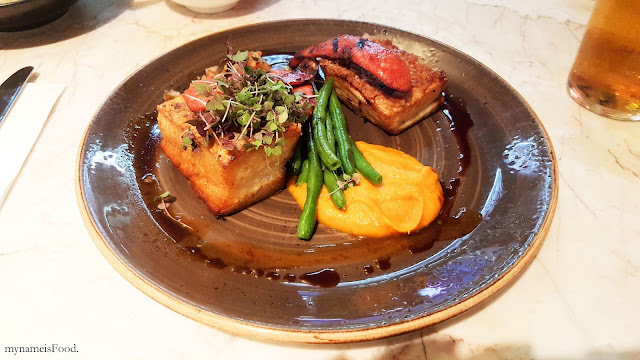 This dish usually comes in 2 as one portion when you do order and is usually isn't placed on the trays but instead you would need to tell one of the waitresses if you would like to order it. 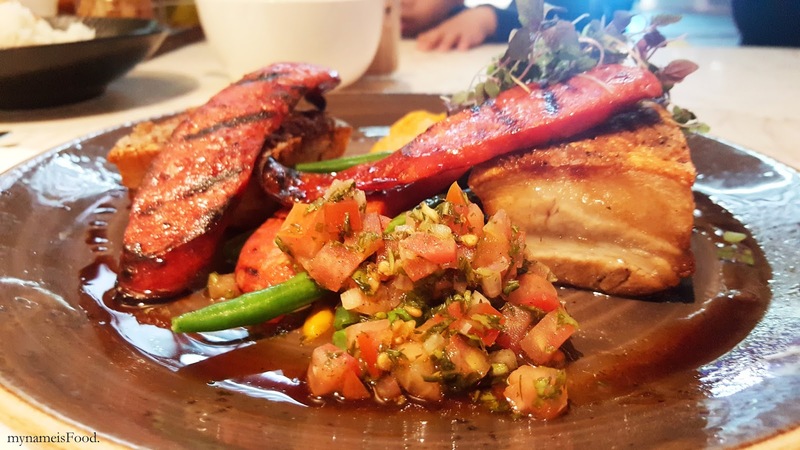 If you want to have a bit of dishes here and there but not sure if they will fill you up, then be sure to order this. 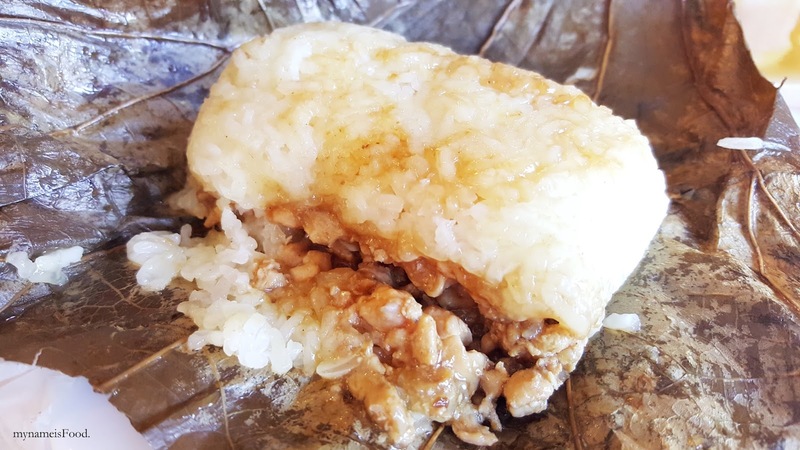 The only thing that people may not be used to is one, the sticky rice with fillings in them and two, the fact that this is all wrapped in a lotus leaf. 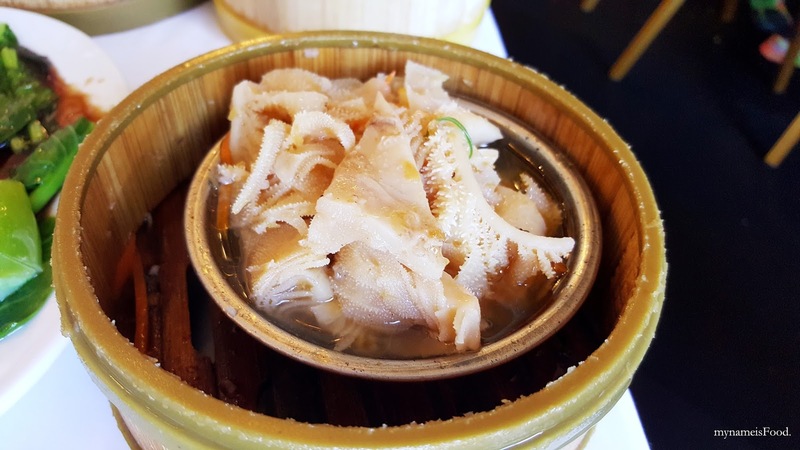 But I do assure you, when you have tried this at least once, you may come back and have it again the next time you do have Yum Cha with family or friends. The filling of minced chicken and chinese sausage works well along with mushrooms allows it to be a light dish but feels heavy afterwards. The flavours of the meat is quite aromatic having a soy sauce based and the sauce has also been absorbed by the sticky rice allowing the rice also having a subtle flavour. 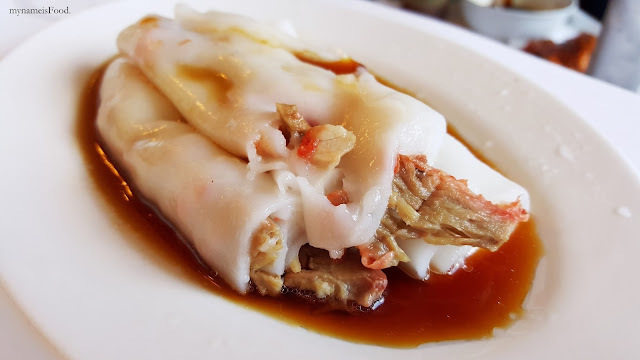 'Chee Cheong Fan' is always one of my favourites to order when having Yum Cha, especially the BBQ Pork filling It is basically soft thick rice noodles with fillings such as BBQ Pork or Beef or Prawn or Vegetables and soy sauce poured all over it. The way you eat this is not by eating it as a whole but instead try and cut them up into let's say 2 or 3 pieces each to be able to eat it conveniently and easily shared. 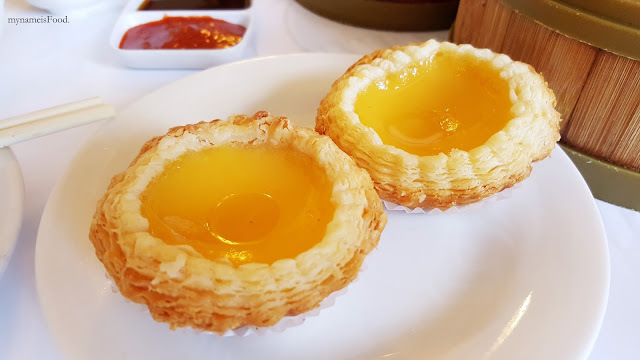 'Egg Tart' is always a favourite amongst diners when having Yum Cha. There are also Mango pancakes or Coconut puddings available for dessert if you're wanting something cold. The Egg tart wobbles as it should and the pastry has dozens of layers which I do prefer rather than those pastry base.